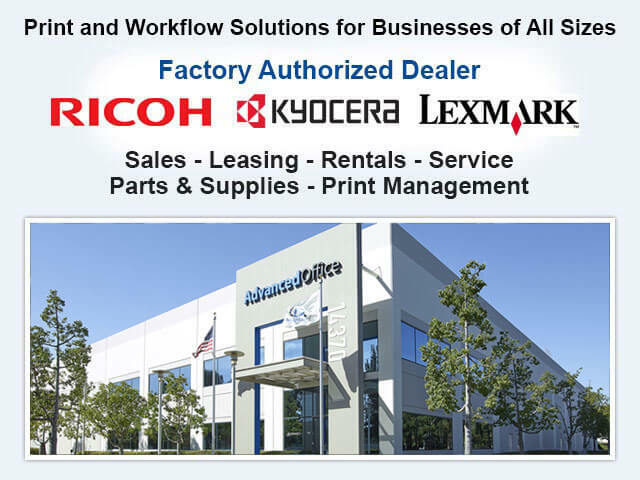 Advanced Office is Southern California's premier independent authorized dealer for Ricoh and Lexmark. We specialize in selling, leasing, renting, servicing and maintaining their high-performance copiers, printers, digital duplicators, wide-format systems, production printers and fax machines. Our dedicated team is dedicated to helping Pomona businesses of all sizes identify ways to improve their efficiency and productivity while reducing printing costs by carefully analyzing their workflow and printing usage. With over 30 years of industry experience and more than 30,000 satisfied customers, we excel at finding innovative, comprehensive solutions that are tailored to our clients' needs and budgets. 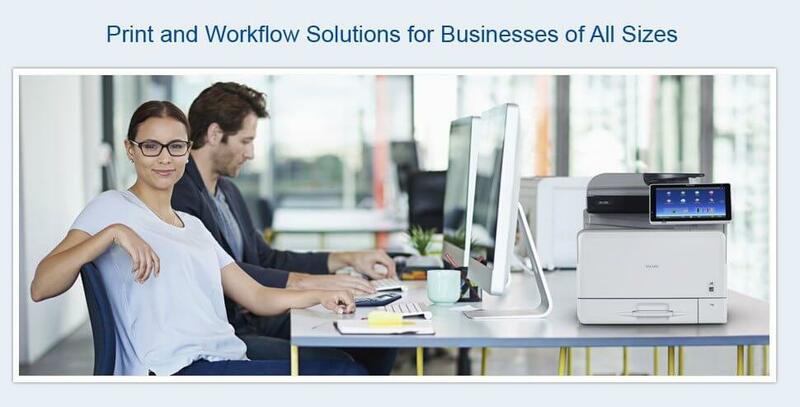 Ricoh and Lexmark set the bar for office technology and provide comprehensive solutions to today's workflow and print management challenges. Ricoh is a globally recognized, highly acclaimed leader in office automation products. They are currently the leading market shareholder in the U.S. for office technology and account for nearly a quarter of all office technology products sold worldwide. Lexmark has made it its mission to create cost-effective, industry-specific office automation solutions. Their A4 machines offer unmatched speed for their price and footprint, and they have become the preferred choice among 75% of the world's top pharmacies, banks, and retailers. By providing innovative workflow solutions that are tailored to the needs of each client at a cost-effective price, we've been able to help our customers in Pomona save money and increase productivity. To learn more, call and speak with one of our experienced printer and copier consultants. We can schedule a free onsite workflow analysis at a time that is convenient for you. 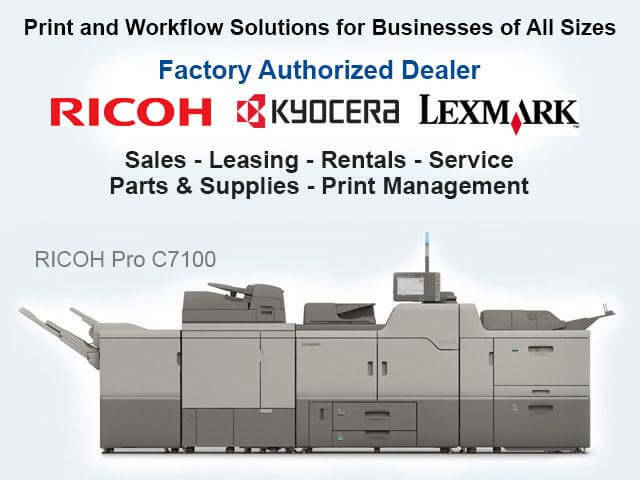 We're leading independent authorized dealers for both Ricoh and Lexmark. 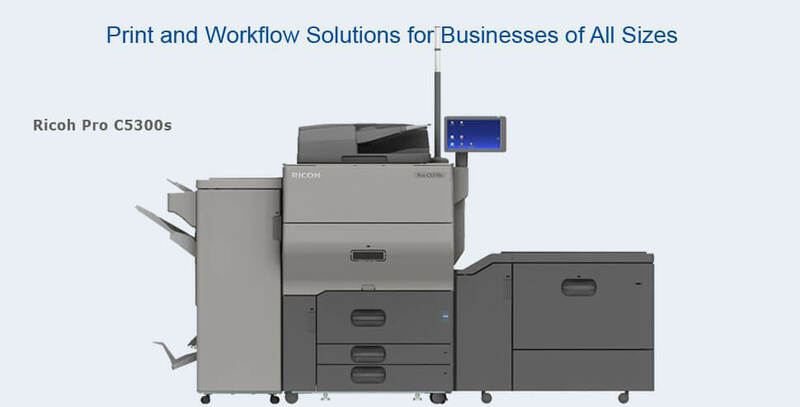 We offer comprehensive print and workflow solutions that are tailored to each client. We specialize in selling, leasing, renting and servicing copiers, printers, production printers, wide-format systems, digital duplicators and fax machines made by Ricoh and Lexmark. All of our service technicians are manufacturer-trained and -certified as well as insured and background checked. We provide unparalleled customer service and set the bar for responsiveness and first-call effectiveness. We're a member of the National Business Technology Association and the Select Dealer Group. We have live, local customer service representatives and four locations throughout Southern California for fast dispatching. Need more reasons? Call us today! At Advanced Office, we offer Pomona competitively priced leasing options for Ricoh and Lexmark's complete line of high-performance copiers, printers, production printers, digital duplicators, wide-format printers and fax machines. Leasing often makes it possible for our clients to enjoy greater tax breaks, stay up-to-date on technology, and afford the precise copier or printer (or fleet of copiers and printers) that they need to run their business. Our copier and printer leases are typically issued for three, four or five year terms, but can also be written for another specified term upon request. As part of every copier and printer lease, we can also finance our cost-effective service and supply agreements as well as any of our custom software solutions. Call now to meet with one of our copier and printer consultants and/or a leasing advisor. 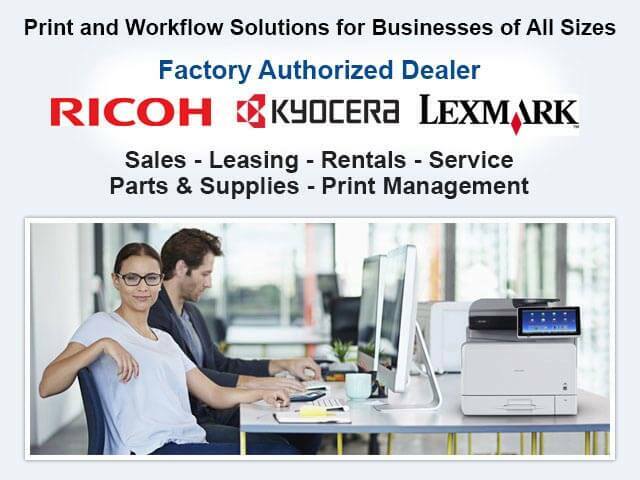 Advanced Office is Pomona's best source for Ricoh and Lexmark copier, printer, wide-format system, production printer, digital duplicator and fax machine sales. We're leading, independent authorized dealers for Ricoh and Lexmark with more than three decades of industry experience. Our team excels at helping our clients in Pomona get the best return on their copier or printer investment, whether they have one copier or printer or a fleet of them. Our sales consultants will accurately assess your business's printing and office automation needs and suggest the best products to meet them. For superior commercial printers and copiers at competitive rates and exceptional customer service, call Advanced Office. At Advanced Office, we provide high-quality copier and printer rentals at affordable prices to businesses throughout Pomona. Our rental inventory consists solely of Ricoh and Lexmark's exceptional copiers, printers and select related equipment. Pomona businesses can come to us when they need a short-term replacement while their in-house copier or printer is under repair or whenever they need a high-performance copier or printer for a term that is less than our shortest leasing period. Copier and printer rentals are always competitively priced and readily available for fast delivery and installation. Call us today for a free estimate on a copier or printer rental in Pomona. 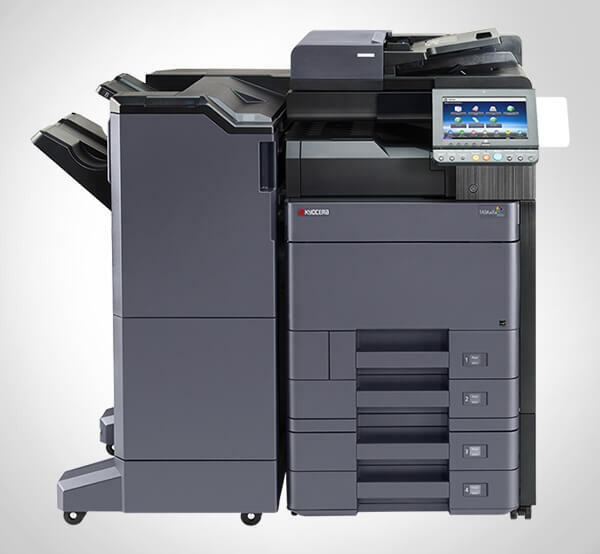 Advanced Office is Pomona's best source for refurbished Ricoh and Lexmark copiers. Our refurbished Ricoh and Lexmark copiers come off of our shortest leases and rentals and are hand selected based upon their level of usage. Our highly trained technicians then strip and clean them, and replace any high-wear components with all new OEM parts until they are restored to like-new condition. We then conduct a 60-point inspection before certifying them for resale. Although lightly used at one point, our refurbished copiers offer the best value in multifunction devices available in Pomona. Not only will a refurbished Lexmark or Ricoh copier cost much less than their completely new counterparts, but they will also provide you with the same degree of functionality, quality and durability. We are so confident in our refurbished copiers that this inventory qualifies for our all-inclusive service and supply maintenance agreements. If you want to learn more, call today to discover what we have in stock. Advanced Office offers two types of service and maintenance agreements for the copiers, printers and other office equipment we rent, lease and sell to our Pomona customers: an all-inclusive service and supply agreement and a parts and labor agreement. Our all-inclusive service and supply agreement includes everything but the paper and staples. Throughout the duration of this agreement, you'll receive all emergency repair visits, service and cleaning, routine maintenance, replacement parts, toner cartridges and more--all for one consistent and cost-effective monthly rate. Our parts and labor agreement includes all parts and labor but none of the toner or supplies. Regardless of which service agreement they choose, our Pomona clients enjoy quality workmanship from manufacturer-trained and certified technicians; fast response times; onsite training from product experts; and over-the-phone technical support from our help desk. We feature a local dispatch service and four strategically located offices throughout Southern California, which make it possible for us to guarantee a four-hour average response time. Additionally, because our technicians are all highly trained and experienced, keep their trucks fully stocked, and have access to our warehouse with more than $1 million in parts, we excel in first-call effectiveness. By getting your printer or copiers back up and running in the shortest timeframe possible, we help your business stay as productive as possible. Call today to learn more about our copier and printer service agreements available to companies throughout Pomona.